Welcome day 16 of Blogtember - review a book, place or product. Oh Blogtember, this post is so perfect. I've seen and heard some jaw dropping and country things here in Woodward and I've been looking forward to telling all about it. Don't get me wrong, I enjoy life here and the people make it great but these are just some things I had to share. 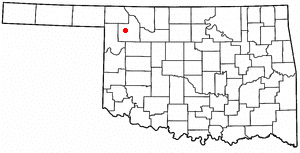 First off, Woodward is located in western Oklahoma. I'm 2 1/2 hours away from a OKC and 3 hours from my home town of Wichita. We are the big city in the area. Sometimes on the weekend people come to Woodward to hang out. I'm not sure what they do, perhaps they chill at Walmart. For some reason, this little town has given me a dose of culture shock that I didn't know could happen in my own country. I expected culture shock when I moved to Korea but not when I moved to western Oklahoma. Here are some of the odd things I have seen and heard of around here. 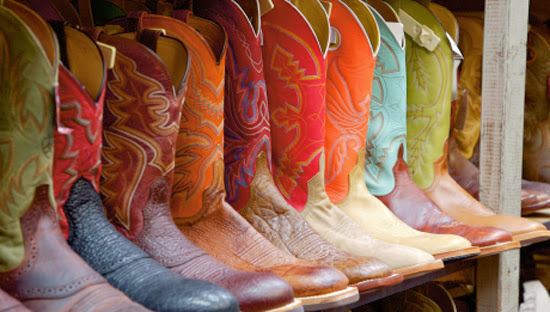 First off - cowboy boots. Everyone has them here. I've seen kids where them, ladies in Sunday dress, they are all over. A few weeks ago I took a floor length bridesmaid dress to get altered and the seamstress was beyond thrilled when I told her we would be wearing champagne heels. She told me everyone now in days wears cowboy boots with wedding dresses and formals. I had no idea but wasn't too surprised either. Every cowboy needs a pick up truck, right? I think 85% of the cars here in this town are pick up trucks. I don't mean the small trucks either, I mean the big diesel ones that take up 1 1/2 spaces when they park (great fun when you live in an apartment). Sometimes I have to look a while to find where I parked because big trucks came and parked next to me on both sides. Apparently people love their trucks a wee bit too much here because even the local jewelry store has a sign that says "if she wanted an engagement truck you wouldn't hesitate". um, really? My jaw, for real, dropped on that one. I still read it when I go by because I think it is funny. Anybody like frogs? Well, the nice lady who was shellacing my nails told me all about gigging. Once again, jaw dropping. Here is a definition of gigging: "for the uninitiated, frog-gigging goes like this: You wade into a pond or patrol the banks by foot or boat, searching for the reflection of bullfrog eyes. Once you spot a big croaker, you shine the light in his eyes to blind him. Then you sneak up on behind the frog, and using a 7-foot pole with a trident attached to the end, stab the sucker." (source via here) I also got a run down on how the frog legs will continue to jump after they are dead. You have to cut some tendon or else they jump all around in your sink. Then they fry them up and eat them. So foreign to me. Another random thing I think is quiet fun here are all the cows. You just drive down the road to go to Walmart and the cows are right there. They are fun. One time when Dave and I drove home a cow had escaped and was just standing on the side of the road eating. (might be scary to hit one! eeek!) We have also seen law enforcement herding cow escapees, it's pure entertainment. They're funny little big creatures. 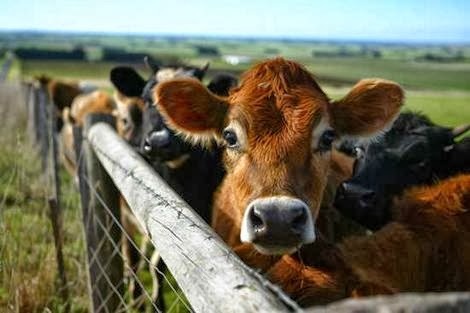 I keep telling Dave if I have a cow I'm going to name him Mignon. I know, mean of me, but it would be funny and delicious. That's all I got now for the 'weird Woodward update'. As shocking as some of it has been I honestly do enjoy living here. I've come to like small town life and believe it or not, sometimes when I go to Wichita I almost feel a bit claustrophobic. The best part of living here are the genuine nice people. All those people that where the boots, have the hat and trucks are some of the kindest people I know and kindness goes a long way now a days. Have you been 'culture shocked' in your own country? I'd love to hear about it. Great way to introduce me to your community. I enjoyed the photos! Ha! I love this. So true! We have a cow pasture outside our apt. I'm like, is this real life? Wake up to cows mooing. So weird. Oh the joy of a small town! My home is in the middle of the sticks- the closet Walmart is 30 miles away and anyplace worth actually shopping (i.e. Kohls, TJMaxx etc) is at least 75 miles away. Living in a small community where EVERYONE knows everyone, and all their business has it's downsides, but I find the perks well worth it!